A Free-Thinker, someone who's mind is not bound by any chain, free to explore the great abyss unhindered by fear, emotion, or ideology. In reality, it is outside the box free-thinkers, who are the engines of social change and ingenuity, often leading society into new directions not yet seen before. They represent a voice of authenticity and uniqueness in a world that is all too filled with conformity and linear thinking. 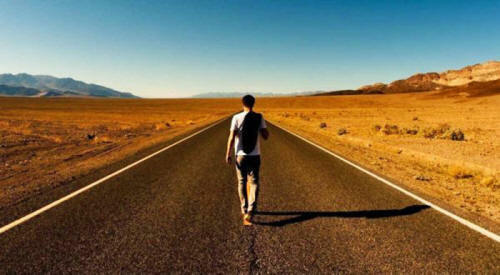 It is often a lonely road for that of a truly unleashed free-thinker. Definition is the opposite of free thought in that it is definite, distinct, or clearly outlined. There is no need to think about it since it is a distinctly defined concept. It is not to say definition and form is a bad thing because form does exists in some way or another, but for society to evolve, transcending definitional thinking is the essential key to growth. The problem is that society often gets fixated in the present paradigm of definition, which has a current set of rules, parameters, and accepted ways of thinking. The truth is always thought of in regard to how it applies to the here and now paradigm of accepted truth, not what truth might have looked like in the past or how it might look in the future. People are very conditioned and afraid to question the currently accepted truths. Going against group think often leads to social isolation, ridicule and even physical harm on some issues. Accepting the current truths of the current paradigm is a much 'safer' and 'comfortable' existence for any human being. In society today, everyone is too afraid to be wrong or standout that they don't even entertain original thought or action anymore. Everything is the way it's "supposed" to be. This makes it incredibly scary for a free-thinker, who sticks out like a sore thumb to the rest of the group. A true free-thinker never fears to wonder anywhere, unabashed by being wrong or different along the way. In fact, the free-thinker celebrates being wrong for it means that they checked another path off the list. No emotion or ideology are too strong to deter the free-thinker from looking at all angles, a true dialectal thinker. In today's world, it's all too common for any event that evokes any type of intense emotion, to have a hardened belief system surrounding it, and therefore off-limits and only to be perceived in one way. Emotions and ideology often times blind the majority of society from thinking clearly, making it all the more dangerous for the free-thinker to speak up in a different tone. It is in the free-thinker that those in power see the largest threat, and therefore, aim to keep quiet. It is all too easy a connection to make, as to why school is more about training people to be obedient slaves and think in the accepted paradigm, and less about empowering the mind and individual into becoming an independent free-thinker. Free thinkers are in fact the most threatening kind of people to the established system because they are independent and can actually see outside the rigged paradigm that most in power have unjustly built. They are usually demonized as crazy and dangerous, in the hopes that the gullible public will abandon their support and back the eventual takedown of them. ...were so polarizing at the time, as there is a large public who adores them for their courage and authenticity, yet there is a large majority who are taught to hate them for changing the current paradigm. It should become more obvious why they were all assassinated. The current power structure never wants to lose. The free-thinker is often ahead of their time and most of the praise they get is unfortunately not felt until after their death. Just look at Nikola Tesla, quite possibly the greatest free-thinker in the history of the world, yet a vast majority of the population has never even heard of him. His goal was to give free energy technology to the entire world, imagine that. He was such a free-thinker that the-powers-that-be deemed his research too much a threat and decided to shut it down and confiscate all his work after his death, classifying it up until today. It's not a coincidence that he is left out of history to the vast majority of the world. If the world has any hope of transforming into something beautiful, it is the free thinkers that will lead the charge. deriving your own truth from within without the need for external approval. It's not to say we don't need others along the way or there is no form, in fact both are essential, but at the end of the day, one must have dominion and control over one's own actions and the freedom to roam. Let the autonomous light from within shine bright, instead of requiring your light be gathered from an external source. Own yourself and seek truth. Hopefully in time, the world will be lit up by billions of individual lights and the road of the free-thinker won't be so lonely. Instead, it will become a decentralized network of individual nodes interconnected together through love in a constant free forming pattern with no set goal or shape. Don't be afraid to take your own journey. all the more triumphantly from the struggle."